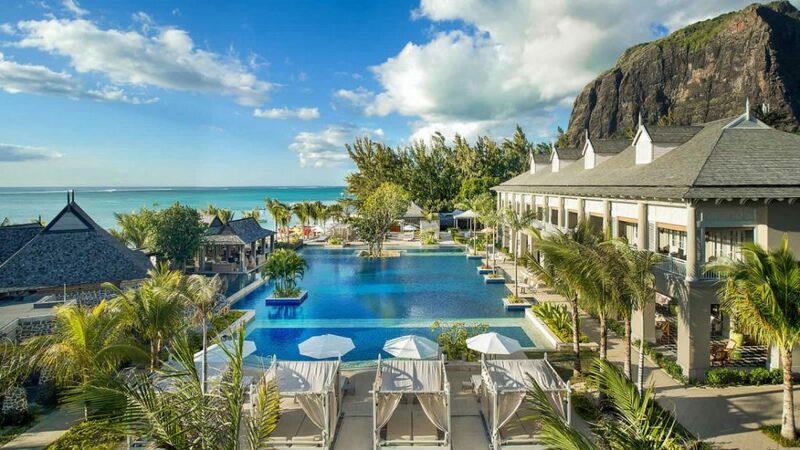 St. Regis Mauritius Resort is a true five star luxury resort with 172 guest rooms and suites with breathtaking views over the Indian Ocean waters. 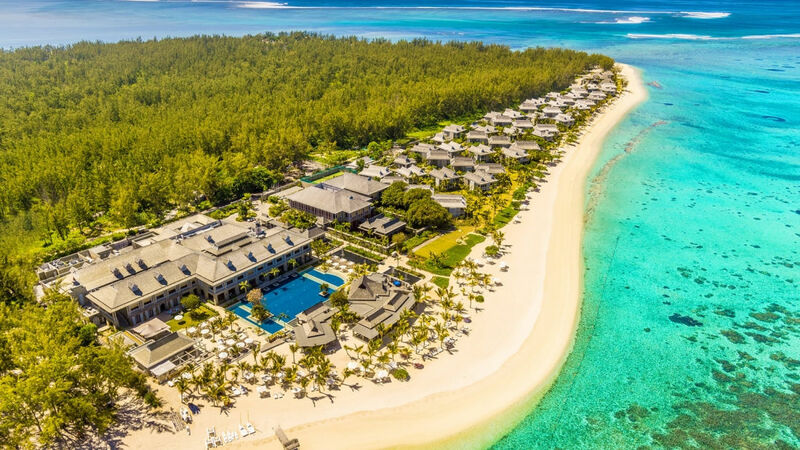 This is a place where you can bask in the sun by a luxurious pool or on the beach; go wind and kite surfing; or escape to a sanctuary of rejuvenation at the signature Iridium Spa. 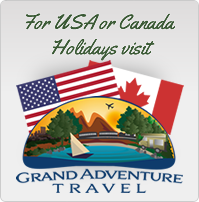 The rooms are spacious and luxurious and each has Butler Service. Cuisine is sumptuous and the spa divine. A stunning resort in a beautiful setting. Simply put this is a world class resort and offers everything you would hope in a 5-star resort. Two things it does not offer are plunge pool room types and an all-inclusive plan. It those things are not a concern, get this at the top of your short list! 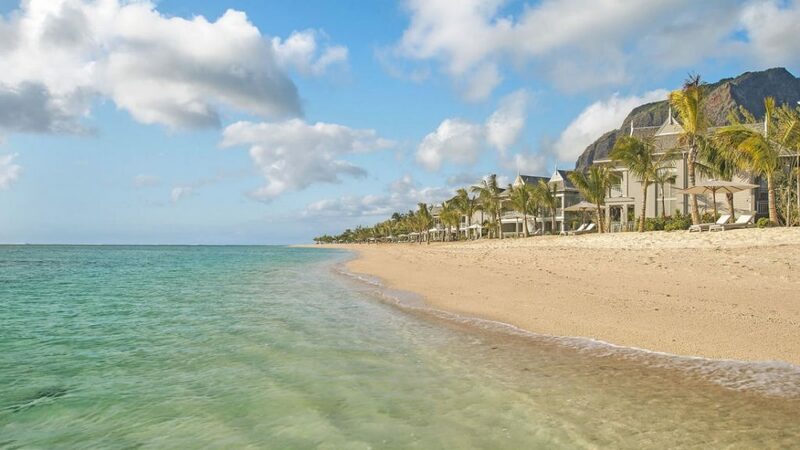 St Regis Mauritius is located on the southwestern side of the island, on stunning Le Morne Beach and its turquoise lagoon create a magical setting. 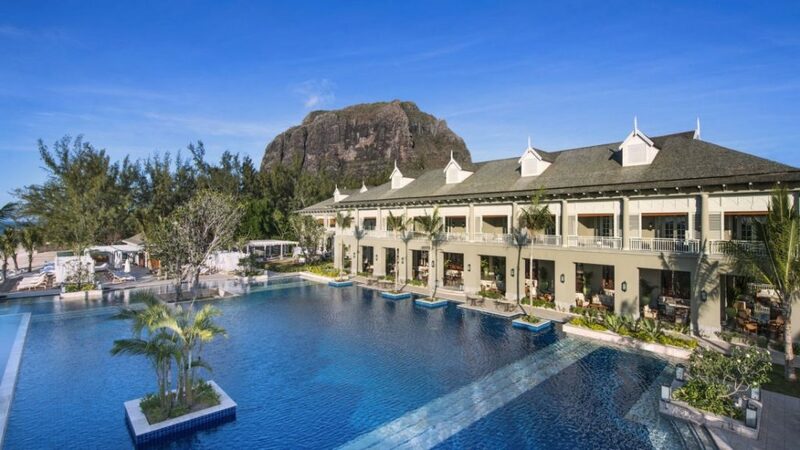 St. Regis Mauritius Resort will feature 172 elegantly appointed rooms and suites including the new St. Regis Villa – the largest most exclusive luxury accommodation in Mauritius. The interior designs are in the traditional colonial style with interiors complimenting contemporary, traditional and indigenous styles. 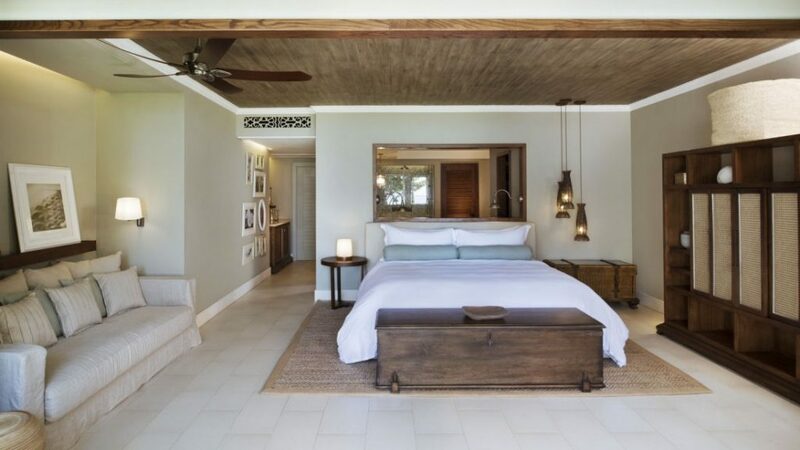 These exceptionally designed rooms, embraced by tropical gardens and all with views of the glistening Indian Ocean, are both discreet and seductive. Junior Suites – Boasting 73sqm of space and are beautifully appointed rooms with garden views, private terrace/balcony, entertainment centre, complimentary wifi, signature bedding. Ocean Junior Suites – As Junior Suites but overlook the sea. Beachfront Junior Suites – With 91sqm of space and are set just a few steps from the beach with a large outdoor living space and spectacular ocean views. Oceanview Manor House Suites have 166-234sqm of space and are set in the main building. These lavish residence-style suites boast spectacular ocean views and a private in-room spa facility for couples. 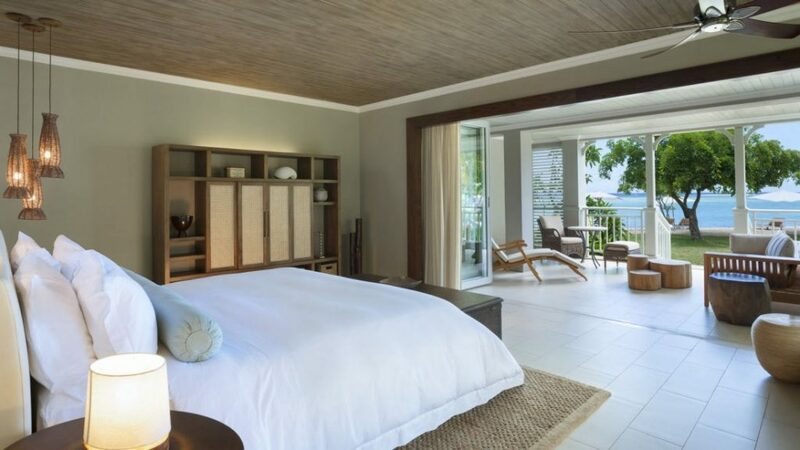 Beachfront St Regis Grand Suites – With 170sqm of space, these one-bedroom suites overlooking the incredible One Eye surf spot, with a large living and dining room, and an expansive terrace or balcony with daybed. Le Manoir Dining Room – A fusion of traditional Mauritian flavours and French cooking styles and offers an elegant setting in a colonial dining room overlooking the pool and Tea Garden. Simply India – Offering guests an innovative menu of authentic Indian cuisine created by two Michelin star celebrity chef, Atul Kochhar. Inspiration – Provides an intimate setting in the Manor House’s kitchen where you can watch the chef prepare your delicious meals to a three Michelin star level. The Boathouse Bar & Grill – In a privileged position on the beachfront for light meals and snacks. Sip vintage Champagne as you enjoy platters of oysters accompanied by live music. Atsuko – A calming experience, with modern dishes from the Far East, with a particular emphasis on Japanese cuisine including teriyaki, sashimi and tempura. The restaurant also doubles as a Japanese cooking school. The Floating Market – With a tranquil setting in the Iridium Pavilion and serves tasty and nutritious Thai, Malay and Vietnamese dishes such as lemongrass crab cake. The 1904 Bar – A chic setting for cocktails, snacks and live entertainment.